Over 200,000 new cases of spinal stenosis are diagnosed in the United States every year, mostly in adults over the age of 50. 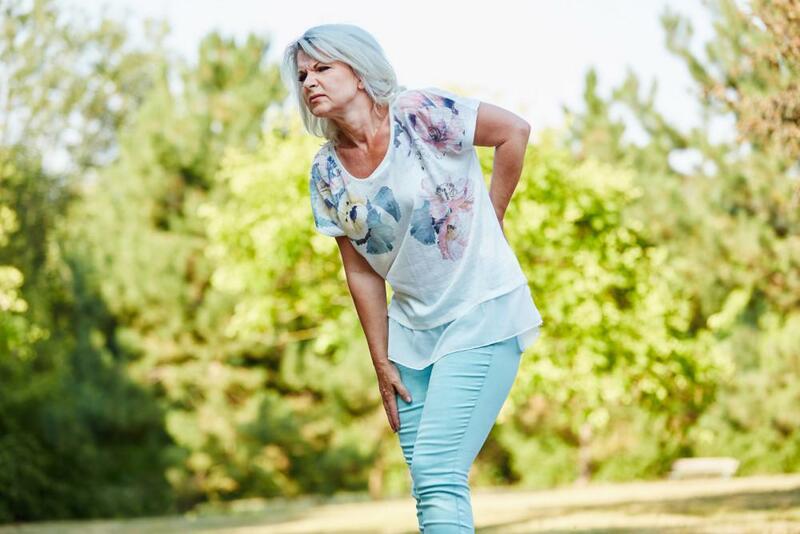 While this progressive condition can lead to a variety of uncomfortable symptoms, including chronic back pain, it is possible to find lasting relief with the right treatment. Spinal stenosis occurs when the spinal canal narrows. This structural narrowing, which is usually the result of normal age-related degenerative changes, may occur in the space at the center of the spine, the space between the bones of the spine, or the nerve canals that branch out from the spine. Although some people are born with a smaller spinal canal that causes spinal stenosis at a young age, most people develop the condition through the normal wear-and-tear that comes with aging. Strong and flexible, your spine is built to help you stand up straight and move with ease. Providing continuous support and stability can take its toll over the years, however, causing parts of your spinal column to break down. Even if you’re relatively healthy, the aging process can leave you with thickened spinal ligaments, deteriorated spinal discs, or misaligned vertebrae. Any of these common degenerative changes can cause your spinal canal to become progressively narrower until, eventually, it impinges on nearby nerve roots and causes pain. People with osteoarthritis, or degenerative joint disease, are especially prone to spinal stenosis as they age. That’s because the inflammation, breakdown of cartilage, and development of bone spurs associated with osteoarthritis can also reduce the space within the spinal canal over time. Spinal stenosis can occur anywhere along your spine, but it usually develops in the lumbar spine (lower back) or cervical spine (neck). These areas are more susceptible to degeneration because they bear more weight than other areas of your spine. Your cervical spine supports the weight of your head, while your lumbar spine supports the full weight of your upper body. Lumbar stenosis, which is by far the most common form, may cause chronic lower back pain as well as pain or cramping in one or both of your legs after you’ve been on your feet for a while. Weakness, numbness, and tingling in a leg or foot is also common with lumbar stenosis. While you might expect cervical stenosis to cause chronic neck pain, it can also cause weakness, numbness, or tingling in an arm, hand, leg, or foot. As it progresses, cervical stenosis can also make walking and maintaining your balance difficult. Because every aging body goes through a certain degree of degenerative change, virtually all older adults experience some amount of narrowing within their spine. Even though mild to moderate stenotic changes, particularly in the neck or lower back, are completely normal among women and men who are past middle age, this near-universal condition is rarely painful or even symptomatic. In fact, it’s possible to live with spinal stenosis for years without knowing you have it. The condition only becomes problematic when your narrowing spinal structure compresses a nearby nerve root, causing localized or radiating pain, numbness, or muscle weakness in your extremities. Most people learn they have spinal stenosis when persistent symptoms prompt them to visit their doctor for a proper diagnosis and treatment plan that will provide relief. Although spinal stenosis is a chronic condition that can’t be cured, it can often be successfully managed with the right treatment strategies. At Mass Ave Chiropractic, we take a comprehensive, whole-person approach to spinal stenosis that includes gentle chiropractic manipulation to alleviate nerve pressure and pain, and spinal decompression to release tension and restore space. Our noninvasive approach also incorporates targeted physical therapy exercises to improve strength, flexibility, balance, and mobility, as well as nutrition therapy to promote optimal healing at the cellular level. Here at Mass Ave Chiropractic, we’ve helped many adults find long-term relief from spinal stenosis, and we can help you, too. To schedule a consultation with Dr. Joseph Kielur, call our Indianapolis office today, or book an appointment online any time.